At Aquarium Services Professionals, we do more than just clean your tank. We work with you to find the best aquarium design for your needs, fill it with healthy livestock, and maintain the system - so you can enjoy your fish, stress free. Our maintenance plans are never one-size-fits-all. Each one is custom designed to your individual setup size, livestock, and budget. Give us a call to see what we can do for your home or office. Enjoy the serene beauty of the tropical Amazon, or the exciting colors of the South Pacific Reef in your home, office, or business. 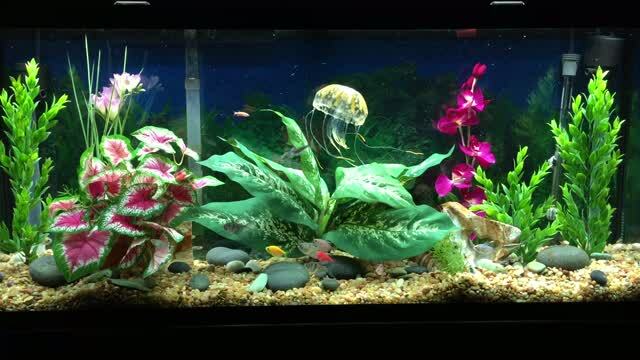 We have aquariums of all shapes and sizes, and beautiful fish from all over the world. Aquarium Services Professionals is a company of Lower Forty Farm, Inc.